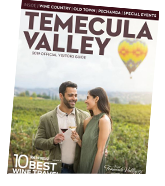 Vacationers searching for wellness travel are discovering Temecula Valley Southern California Wine Country’s pure life experiences. Wellness seekers have personal expectations and varied preferences, but most importantly they want a break from routine and a place to nourish the mind, body, and soul. 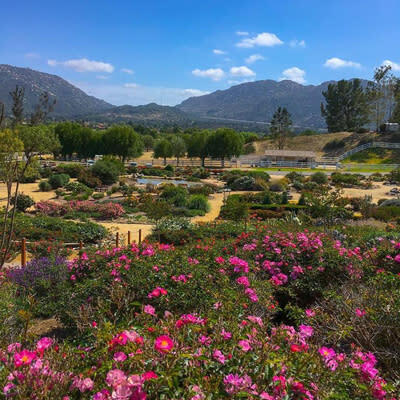 Visit Temecula Valley has uncovered the 10 best wellness experiences that will kick-start or maintain travelers healthy lifestyles. 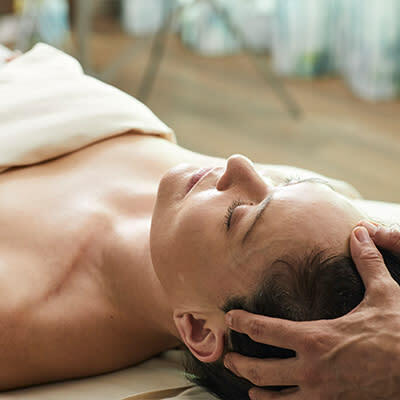 Your wellness journey can begin with an immersive spa experience at Spa Pechanga. Their Native American roots are inspired by the reverence for native botanicals and the strength of their Great Oak known as Wi’aasal. Therapies integrate the healing powers of nature. At Grapeseed Spa, guests can relax with a glass of wine in an oversize chaise lounge on the spacious veranda overlooking wine country after a day of rejuvenation. Stepping where pioneers once walked in historical Old Town Temecula, helps center the soul. Pechanga cultural tours feature The Great Oak, which is the largest and one of the oldest naturally grown indigenous coast live oak in the western United States. 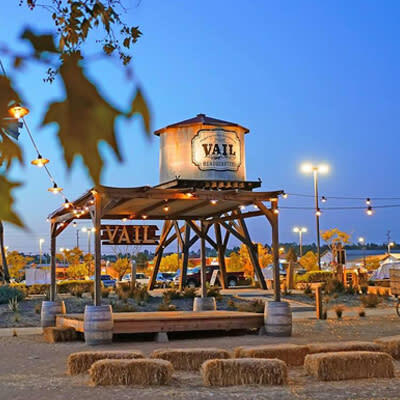 Vail Headquarters was preserved, and the buildings have been repurposed, but its rich past can still be recognized and its treasured history saved inside the Little Temecula History Center. 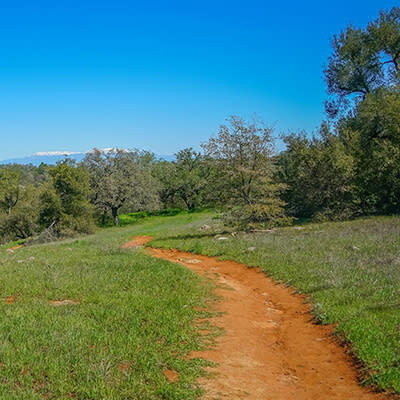 The Santa Rosa Plateau&apos;s Ecological Reserve offers trails for every level. All the rainfall has provided an ideal time to visit the vernal pools and it’s the only place in the world to see fairy shrimp. For those staying at Temecula Creek Inn, the resort has several walking paths that make for a beautiful leisure stroll. Be surrounded by avocado trees, citrus groves, pomegranate trees, olive trees, rows of root vegetables and berries, and so much more. Temecula Olive Oil Company grows and produces their olive oils at a ranch just outside of town, and they are open for tours year-round. 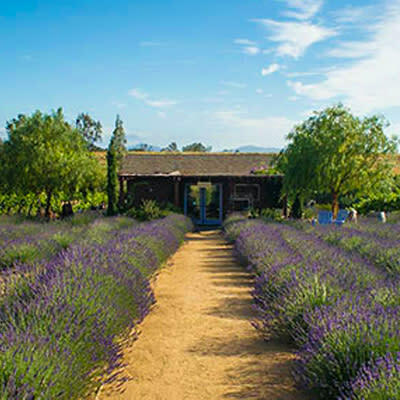 Temecula Lavender Company is also open for tours during their bloom season each summer. Several quiet pockets of tranquility, ideal for reflection and meditation, are waiting to be discovered. Inn at Churon Winery, Inn at Europa Village, Carter Estate, and South Coast Winery all offer the perfect morning views. Rose Haven Heritage Garden immediately south of Old Town Temecula is a beautiful setting for quiet time and meandering afternoon walks. 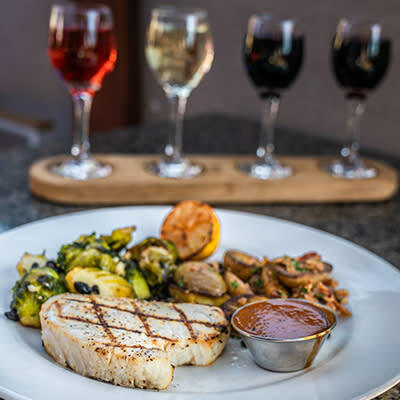 The Rooftop Garden at Pechanga provides ideal viewing for stunning sunsets, as well as hilltop wineries like Callaway, Mount Palomar, Miramonte, Lumiere and Monte de Oro. Healthy menus using local ingredients are maintaining visitor’s lifestyle or encouraging them on their way to transformation. Dining experiences include a chef’s table and Afternoon Tea at The Restaurant at Leoness Cellars and charcuterie wine pairings at wineries such as BOTTAIA Winery. Old Town Spice & Tea Merchants carries hundreds of fresh spices and in-house blends, as well as a large selection of teas. As so many say, laughter is the best medicine, and there are many places to get a good laugh in Temecula Valley. The Comedy Club at Pechanga introduces comedy circuit’s brightest stars, as well as up-and-comers. Comedy at The Merc hosts improv with PseudoRandom Noise! on the Saturday night each month. The show engages audience members to help write, direct, and even act onstage. 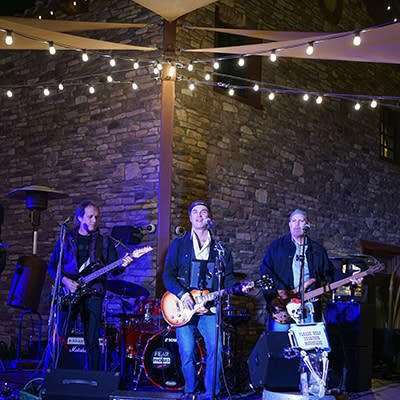 Rocky’s Comedy Live performs at Mount Palomar Winery throughout the spring season. Comedy shows can be found at several additional wineries. Embassy Suites offers an oversized pool and whirlpool with an expansive patio area for sunbathing. 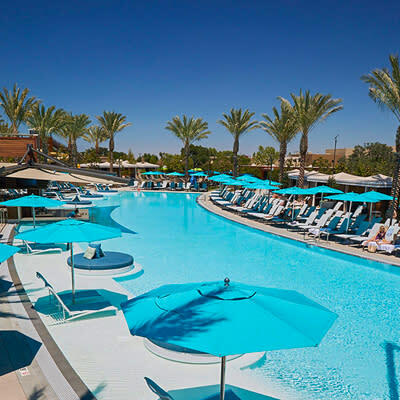 Pechanga Resort Casino offers a 4.5-acre pool complex with a family pool, splash pad and slide as well as adult pools and whirlpools, including a swim up bar, cabanas and dining. South Coast Winery saltwater pool welcomes resort guests as well as walk-ins for a fee. Comfortable and spacious cabanas are available for rent and it includes a bottle of South Coast sparkling wine. The Pool at BOTTAIA Winery offers an oasis of relaxation, wine, cocktails and food surrounded by vineyards. 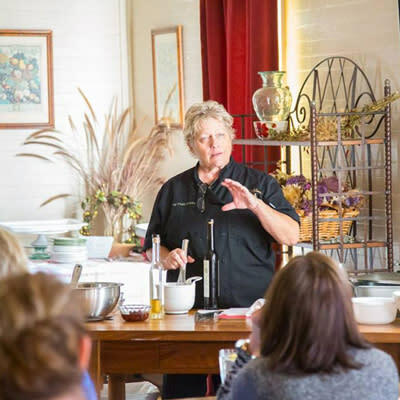 Cooking classes are popular through Temecula Olive Oil Company, Williams Sonoma at Promenade Temecula, and Lorimar Loft wine tasting room. Paint Nite in the Barrel Room is a great way to express through art with a glass of wine at Mount Palomar Winery. Wine, Dine & Paint at South Coast Winery followed by lunch with a glass of wine. Sip n’ Paint “Cheers” is offered at Falkner Winery. 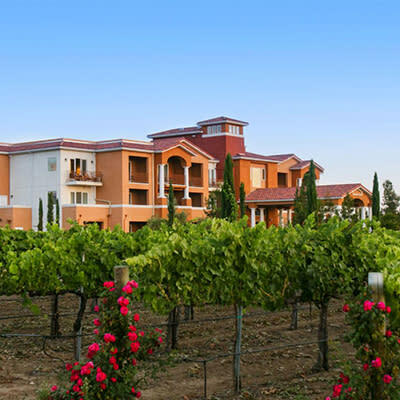 Staying in wine country offers a relaxing atmosphere where you can rest and recharge, away from the buzz of the city. Be near dining, activities, live entertainment, and award-winning wineries. Temecula Creek Inn, Ramada Inn, Hotel Temecula, and Embassy Suites offer peaceful settings for refueling and rejuvenating the mind and spirit.